If you think that renting a dumpster is as simple as blinking your eyes then it is not so! There are some important things that you need to focus on before bringing a dumpster for your home. Let’s know what a dumpster is! Basically, it is a type of mobile garbage bin. The most common purpose of a dumpster is to carry the garbage and to take it away to the appropriate place where the garbage is usually thrown. Anyways, dumpster can also serve some other purposes for example; it really works during renovation or remodeling projects. During these projects, you may need to carry construction material and hence dumpster will serve the great purpose to carry and move that construction material. Well, the usage of this container is different for homes as compared to its commercial usage. You might need to rent a dumpster for home in renovation or remodeling projects. Before renting a dumpster, you should decide the place for it. You should decide the place according to the size of the container. In addition to it, you must know for how many days, you will need that dumpster. These are just a few common things but if you are looking for dumpster for your home, there are many other things to keep in mind. Let’s discuss about those things one by one. When you are going to rent a dumpster, you must focus on the size. The dumpster differs in terms of their size and you are supposed to rent a bit bigger than required. You cannot measure the accurate weight of the mess that you want to remove through this dumpster and if you rent small size of dumpster than required then you will need to bear double cost. Therefore, keeping in mind the available place to adjust the dumpster, you should try to order the dumpster bigger than the required. 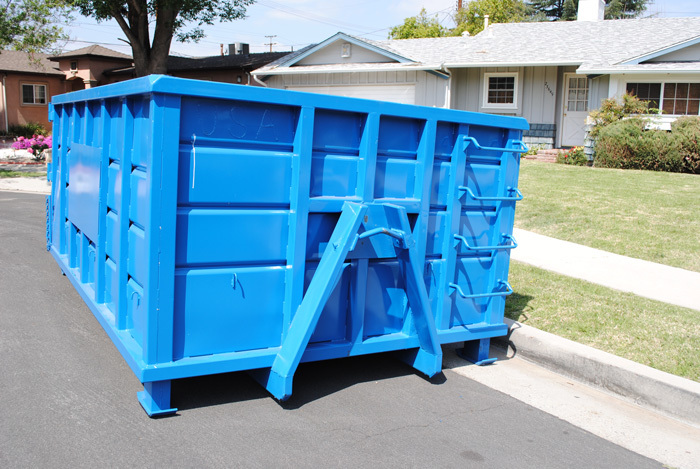 Normally, dumpster renting companies assist you in determining which the right size of dumpster is for you. Even if they don’t determine, you should do it yourself appropriately. Don’t forget to have an estimate of the time before renting a dumpster. You must know for how long you need that dumpster. Usually, the companies have limited number of dumpsters and that’s why they rent the dumpster for limited time. Once you have got the container, you must start using it instantly so that you can accomplish the task during its rental period. If you do not accomplish the job during that time and you need to keep it with you for some extra days then you will be charged more. The rules and the policies of dumpster renting companies differ from one another and in the same way, their requirements related to material may also differ. Some companies have very strict policies and they prohibit some types of materials. For example, the companies do not allow carrying paints or inflammables in the dumpsters. When you are going to rent a dumpster, you have to mention which type of material you are going to deal with. Otherwise, you will have to pay the fine because the strict policies of the companies. Companies generally allow construction items like wood, siding, bricks, etc. but some companies do not even allow carrying mixed construction material like wet cement, etc. If you are renting a dumpster for carrying these things but in the policies of the company, it is not allowed then why you should rent a dumpster from that company! There would be many other alternates in your area so you can look for any other dumpster form any other company. If there are different dumpster rentals in your area then there are chances that they might be charging different rates. Many people think that the rates of all the companies are same and hence they do not look around to find the cheap dumpster rental. When you will shop around, and you will consult different rental companies then you will come to know which one of proving the dumpster at the least rates. All the dumpsters almost provide the same services. Therefore, why you need to pay more for the same services! It’s better to find the dumpster rental for home at the minimum rates. So next time, when you will be planning about renovation or remodeling task, and you will have to rent dumpster to remove the trash or to carry construction material then you will not have any confusion. Don’t forget to decide the appropriate place for the dumpster before renting it. After that, look for the dumpster having the suitable size and weight limit.